We are pleased to represent the French-designed PatchSee Intelligent Patch cords in Australasia as their Master Distributors. 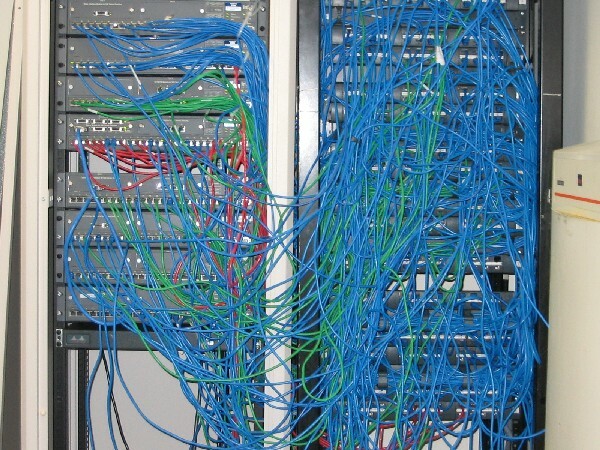 Network administrators run up against the same problems of identifying cables, especially on patch panels, in the comms rooms or open plan offices, etc. 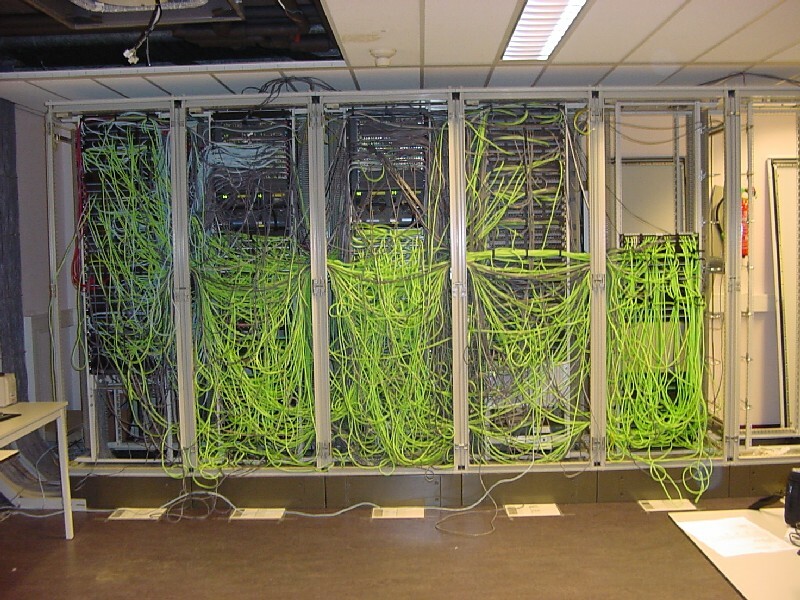 Do you have a problem with patch panels that have ended up like THIS or like THIS ? Possibly you are likely to run the risk of producing more faults whilst tracing a particular patch lead? In fact, carefully running the cabling in looms or via ducting - whilst certainly looking neater - can actually make tracing more difficult! A means of easily identifying a particular patch lead to allow easy tracing throughout the patch fields or associated areas. For a demonstration of its practicality, press HERE A Patch Light is utilised to perform the simple check. To see an effective the demonstration of PatchSee and the operation of the test light, click here for an animated version of the demonstration unit or here for a U-tube video of this process with the Professional test lamp. Various coloured clips are also available to identify cable grouping - by colour. This assists with inventory as it removes the need to carry stocks of cables in each of your required colours - simply add the clips to each cable end. PatchSee's company founders had over 10 years experience in network cabling and worked closely with those responsible for the networks in major companies to develop the PatchSee products which are now utilised throughout the World in numerous sites. PatchSee Intelligent Patch Leads are quality manufactured products hence specification sheets - in pdf format - are available to download for the cables in either their UTP (Unshielded Twisted Pair) or FTP (Shielded Twisted Pair) formats. SLIMLINE PATCH CABLES: ThinPATCH RJ45 Cables are now available utilising the PatchSee cable tracing system of light identification by plastic optical fibre. These cables allow for much more dense population of cables, are rated to Cat. 6A standard (10Gb/s) and are compatable with Cat. 6 and 5E. Details - including pricing and availability - are available on request. For further information on PatchSee products or for pricing details please email us for your Intelligent Patch Cord requirements. We offer direct shipping from our National Distribution Centre to you from either local or imported backup stocks with delivery expectations to you of from a few days to approximately a week. Please contact us by email or by phone 03 6267 4897 if you require further information.